A course in meditation to bring inner calm and clarity to your mind. The Wisdom of Inner Silence is a year-long course that will provide you with meditation techniques along with tools to assist you in establishing a daily practice. All the meditation techniques taught in the Wisdom of Inner Silence can be classified under the basic heading of Peaceful Abiding Meditation. 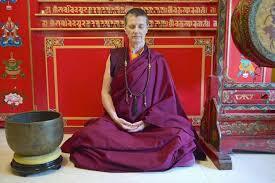 Called “shiney” in Tibetan, in English it is also translated as calm abiding or tranquility meditation. The techniques you will learn here are simple, easy to understand, easy to practice and, yet, very effective. For one, as your mind becomes more peaceful and calm you may discover that you are gradually beginning to relate with experiences, situations and people in an appreciative manner rather than with an attitude of immediately rejecting or judging them. So you may find that your reactivity not only slows down but becomes less and less. Another is that concentration becomes easier to maintain over longer periods of time so that whatever you need to do with concentrated effort isn’t stressful anymore. The more you meditate, the more your mind begins to find a balance between being too tight and grasping or being too loose and spacey. This balance and the ability to concentrate with ease are skills that can be applied to any area of your life – study, work, or play. With less reactivity, you may find more to be grateful for in your relationships. Or you may find more agility or ease in moving from one situation to another (Think of interruptions here.) and the ability to re-focus your attention with more patience. One of the ways I like to think of it is that my meditation helps me shorten the list of situations, experiences or relationships that have the power to distract me or divert my energies away from what I need to do. One of the things I need to do, of course, is meditate! Audio teachings of four different techniques of peaceful abiding meditation, each of which you’ll use for 3 months. Photos of the sitting posture so you are clear on the goal of how best to position your body. A simple spread sheet to keep track of your meditation time. After 6 weeks of using each of the techniques, you will have a personal time with me to discuss how the technique is working for you. In this personal session, we can discuss ways to enhance your practice or ways to work through obstacles that have come up for you. Our talks can take place via phone, internet (whatsapp, skype or zoom), or if you are in the area, you could come to the Open Awareness Buddhist Center. One more tool, and an important one, is a teaching on remedies for problems that come up during meditation. Every three months your new teaching will add another remedy so you will have more ways to work with difficulties arising during sessions, such as not being able to focus, monkey mind, agitation, etc. 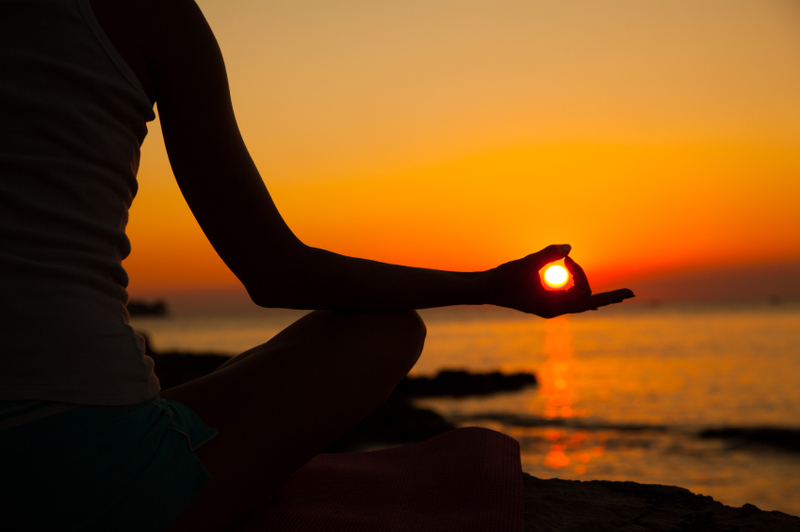 The goal for a daily commitment will be one hour of meditation every day. This is a goal to reach gradually. In the beginning, one or two sessions of a few minutes each day will be enough. An email will be sent with the link and password to the course. 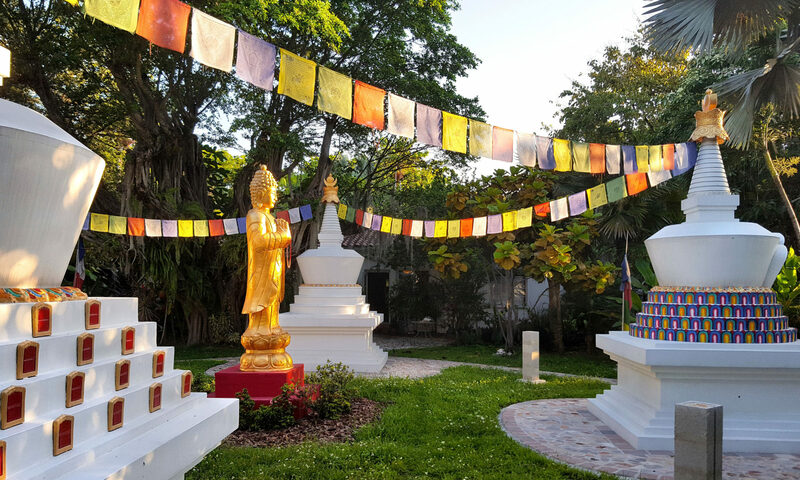 If you are using an alternate email or do not receive that information, please email miamibuddhism@gmail.com and send your preferred email and phone number. Thank you. Thank you for signing up for a peaceful and calm mind. Personally, I’m grateful that you have because it means I’ll be joining you for an hour of silent meditation every day. That doubles my usual quiet time as my other meditations all include chanting which, of course, can be another way to abide in peace. Now let’s go to your first technique.